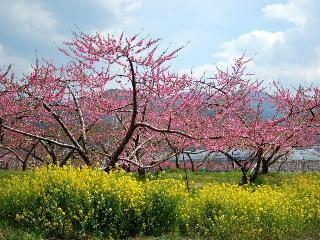 Find huge deals in Yamanashi, Japan that you may book now & pay later! 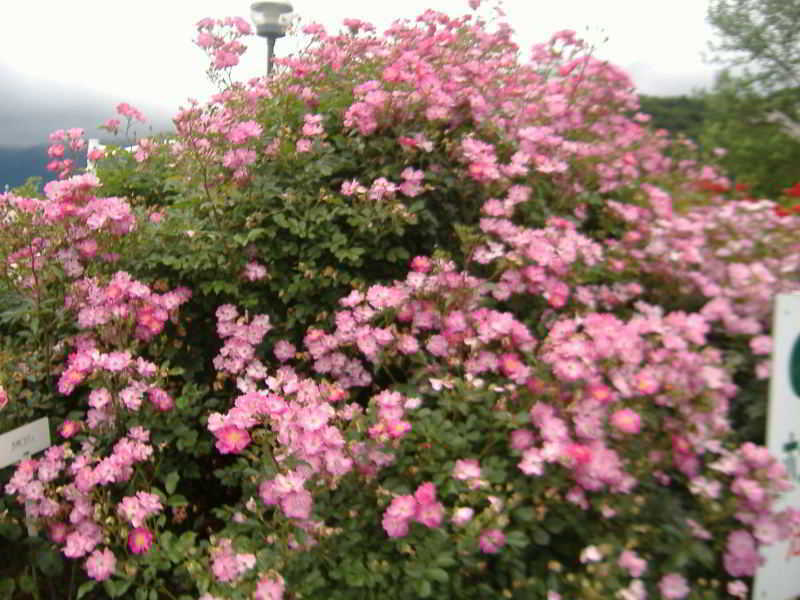 Best prices for in Yamanashi, Japan. A dream vacation for you and your family, guaranteed by our travel consultants. For members-only deals, we recommend using the new filter for deals in Yamanashi, Japan. 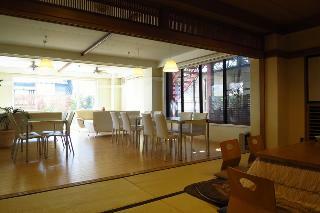 This comfortable hotel is located in Yamanashi. This cosy hotel guarantees a quiet stay as it counts with just 14 accommodation units. This is not a pet-friendly property. Wakakusa no Yado Maruei is a Japanese-style hotel, featuring open-air baths on the top floor of the hotel as well as a variety of baths and seasonal Japanese cuisine. Some of our baths can be reserved and privately used with your family and friends. 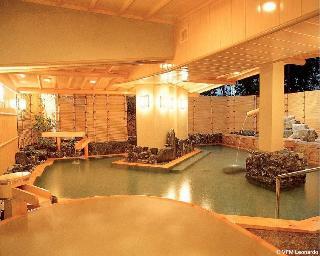 It is a Japanese style ryokan situated in the center of Kawaguchi lakeside. Eight storied and fully air-conditioned. Our grand fine view bath newly established in 1998 has the space of 330 square meter equipped with an outdoor bath, a jacuzzi, hot waterfalls on your shoulders, a lying bath, a bubble bath and so on. 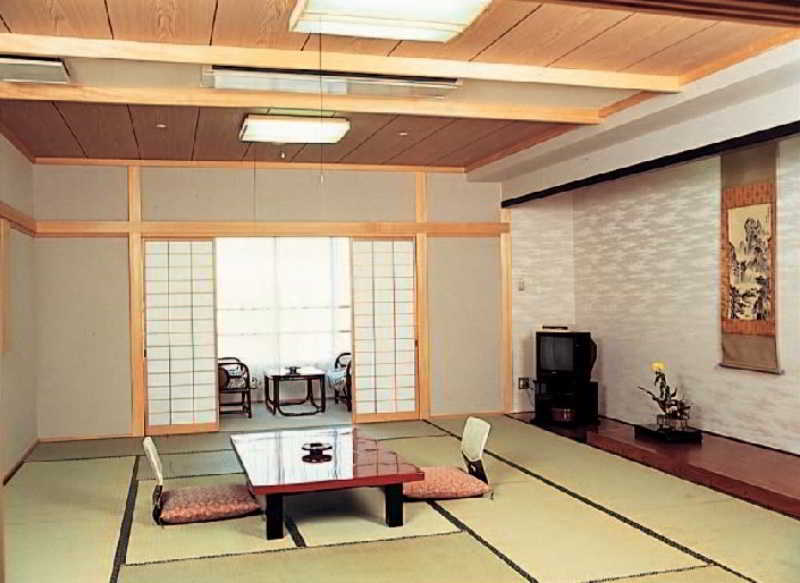 It is a traditional Japanese Ryokan located in the center of Isawa Hot Spring resort area. Please relax yourself at a big common bath and enjoy Sengoku Kaiseki Meal. We are located in the shore of Lake Kawaguchi. Please enjoy our newly opened rose garden. Also we offer you an open air hot spring bath with the steam sauna of different herbs everyday. We opened in 2003 after renovation completely. Newly furbished guest rooms,a new outdoor bath on the seventh floor aside of our original fine view bath. We also provide guest rooms with outdoor baths of their own. Popular for its special upside-down Mount Fuji reflected in Kawaguchi Lake. 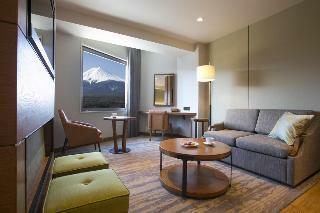 All our guest rooms give views of Mount Fuji and Kawaguchi Lake. 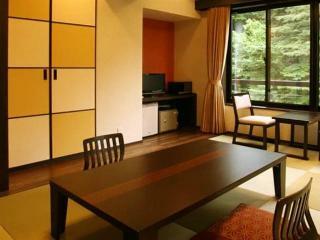 Midori is a two storied fine view grand bath with panorama of Mount Fuji and Kawaguchi Lake. Please relax yourself in our 'Variety Bath', a complex of an outdoor bath, a sauna, a foot bath, a jacuzzi and a lying bath. We hope you to feel relaxed with our bright comfortable atmosphere. 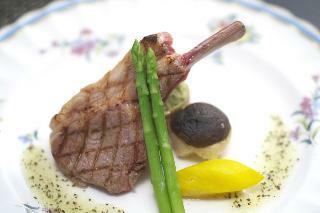 You can enjoy our Japanese KAISEKI, Chinese, and European cuisine with the selected foods. We have large open air bath with natural hot spring, and swimming pool, as well. 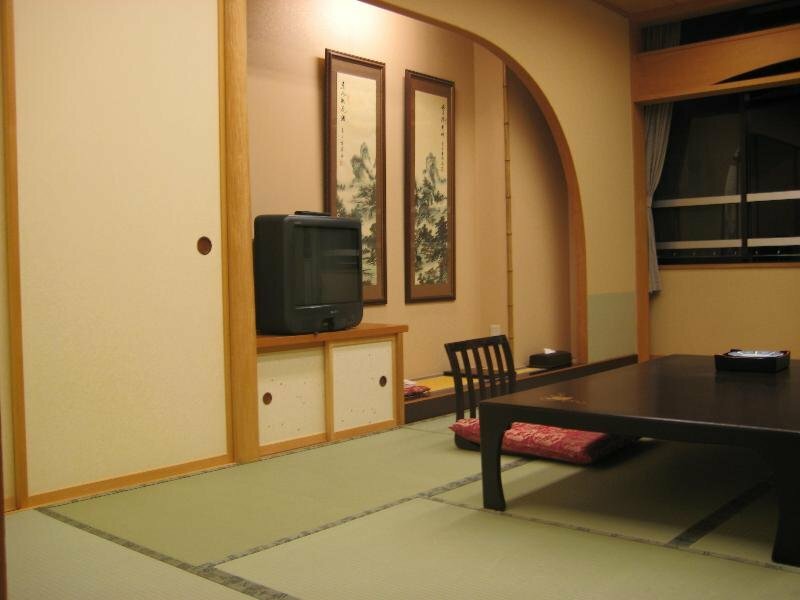 Hanayaginosho Keizan is a traditional Japanese ryokan (Japanese style inn), conveniently located within 5-minute walking distance from JR Isawa Onsen Station. 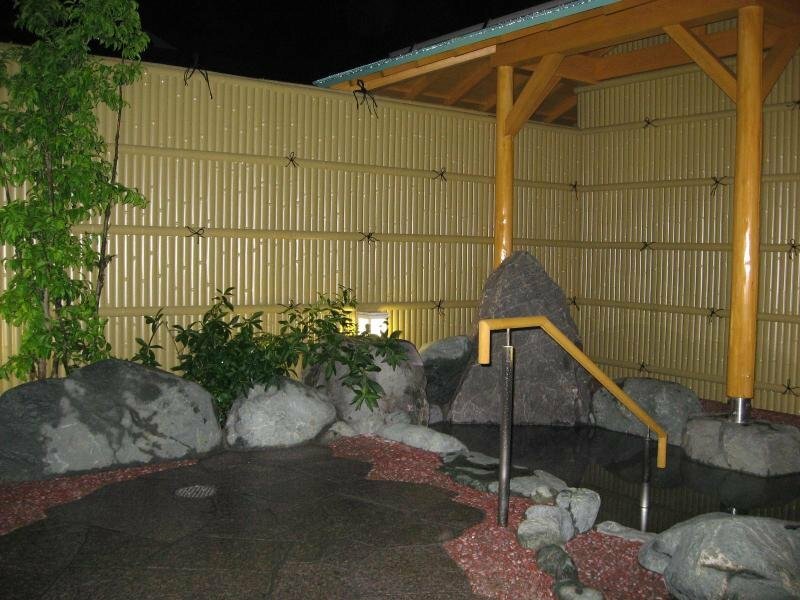 Our indoor and outdoor baths have rich source of hot spring water on the premises. Keizan Taiko Show (Japanese drums show) performed by stuff is very popular among our guests. We promise you with our cordial service and hospitality. Satisfaction of the guests is always our first priority. We proudly provide with Otakinoyu grand bath of 1000 square meter with its own spring hot water, Kaiseki Japanese dinner prepared by our chief cook who introduces his cuisine on TV program regularly. We expect our Japanese garden in the center of our site would be a treat to you. 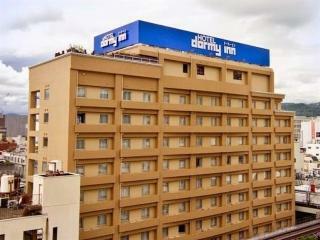 It is an urban resort hotel, a city hotel with taste of conjunction of resort and Japanese. 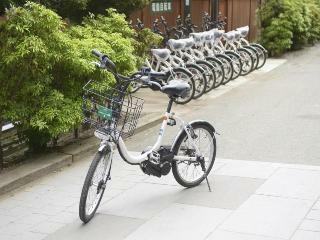 Ideal for sightseeing, leisure and business. Our guests can enjoy our rich spa hot water from the spring in our site. We can provide our guests with 'fugu' fish sent direct from Shimonoseki. We are a favorite hotel especially for the friends, ladies and families. This lovely hotel can be found in Yamanashi. 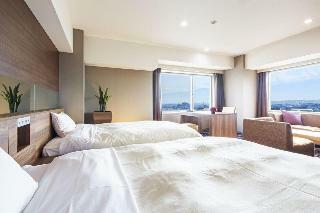 A total of 189 rooms are available for guests' convenience at Dormy Inn Kofu. Pets are not permitted on the premises. 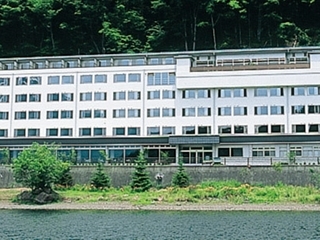 It is a Japanese-western modern style hotel in the center of lakeside of Kawaguchi. 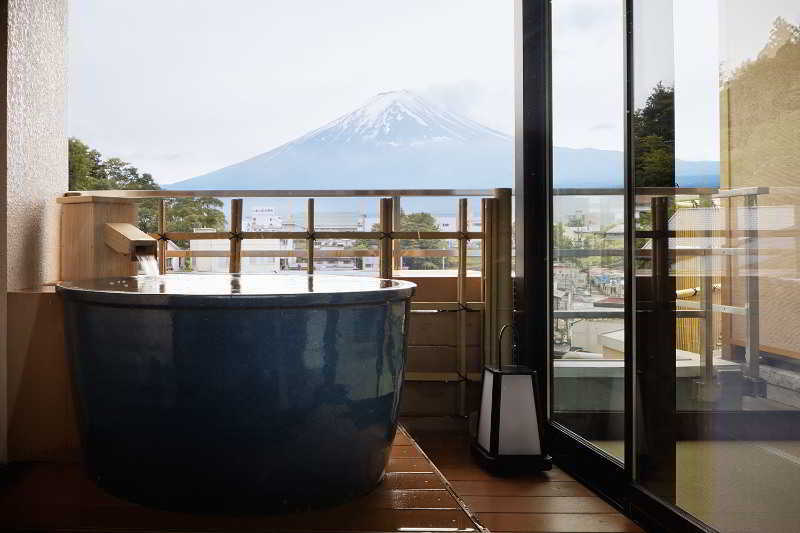 Our Mount Fuji view private bath and barrier-free" private bath are our guests' favorite. 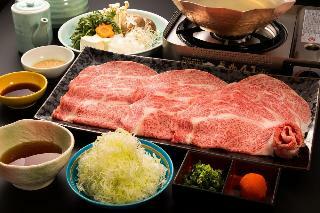 We serve "Fuji Japanese-western kaiseki" cuisine prepared with the products of the season from the foot of Mount Fuji. 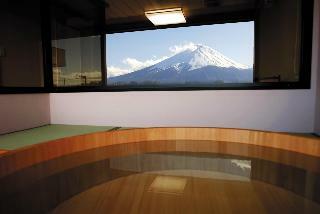 Our grand bath is supplied with hot spa water from Mount Fuji. All our facilities are "barrier-free"." 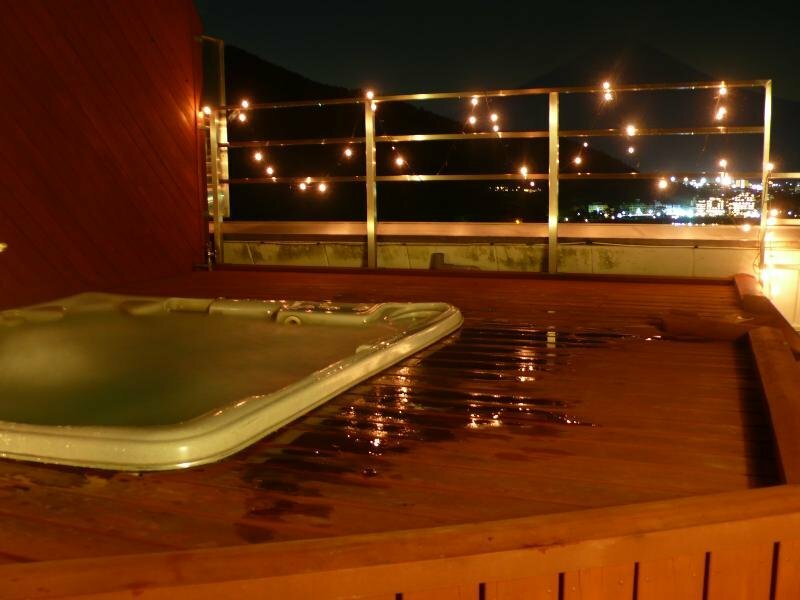 Enjoy for 24 hours the Kawaguchiko outlook large bathroom and a cypress outdoor bath of the top-sorey . 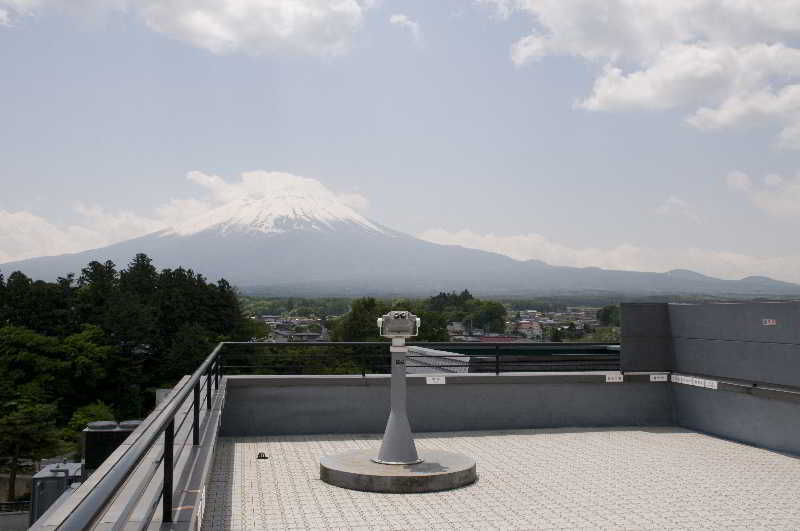 You can see the gorgeous views of mysterious Mt.Fuji and Lake Kawaguchi from our guest's rooms. Please enjoy the great views from our open air hot spring bath and observation bath,as well. 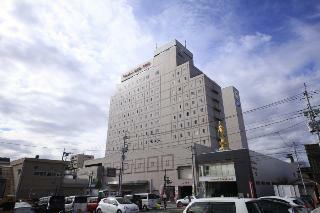 This comfortable hotel is situated in Yamanashi. This is not a pet-friendly accommodation. This comfortable hotel is in Yamanashi. Pets are not permitted on the premises. Please enjoy the tipical Japanese garden from our guest rooms and we also welcome you all with the Japanese cuisine which is our chef's best. You can feel relaxed with magnificent veiws of Kofu Valley and South Alps from our large open air hot spring bath on the top floor. This comfortable hotel is set in Yamanashi. Guests will not be bothered during their stay, as this is not a pet-friendly property. This comfortable hotel can be found in Yamanashi. Zenkan Gensenkakenagashi No Yado Keiunkan is not a pet-friendly establishment. This lovely hotel can be found in Yamanashi. Located on the lakeside of Kawaguchi and good for mountain climbing, fishing, driving along five lakes of Fuji in summer and skating, skiing in winter. Kaiun" or good fortune spa is rustic and has outdoor baths for the ladies and the gentlemen two each." Hotel sportion Kawaguchiko (FIT Resort club) locates in the deep green of virgin forest of 160 thousand square meter in the foot of Mount Fuji. Please enjoy four different aspects of the nature. You can also enjoy sports with our tennis courts, a short golf course and a swimming pool. You can stay with your lovely pets with us. Spend a refined moment in Isawa Onsen town, a fruit-growing and onsen village blessed with beautiful nature and culture.The facilities are high-caliber and brimming with elegance and we provide cordial hospitality for guests with a refined sense of an atmosphere of harmony. 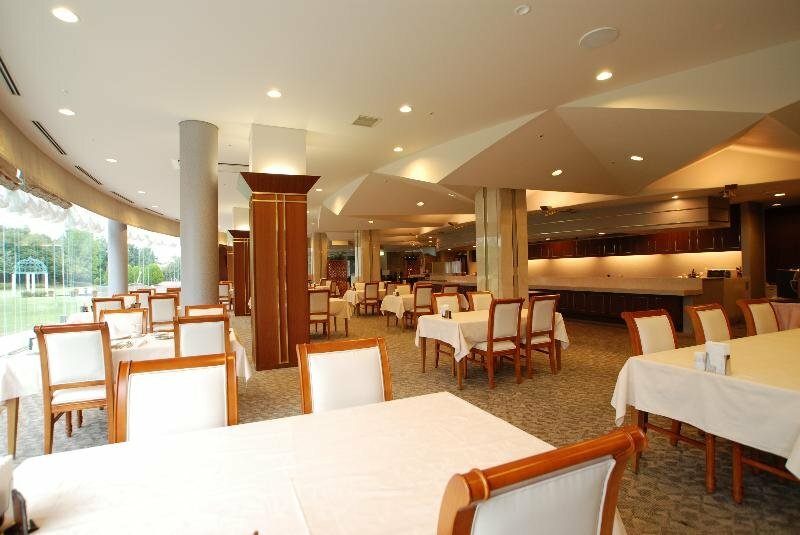 This outstanding hotel is set in Yamanashi. This comfortable hotel is situated in Yamanashi. Hotel Kaneyamaen is a Japanese-style hotel with a large garden of 60,000 square meters, from where you can enjoy a splendid view of Mt. Fuji the Sacred. 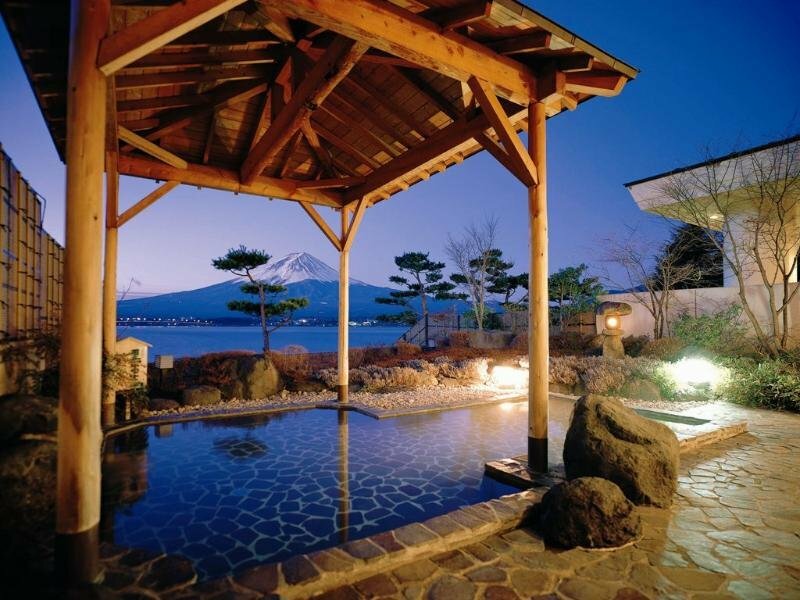 As well as the garden, the hotel also features its traditional Japanese-style restaurant, Japanese drums (taiko) show, an authentic tea-ceremony room, and highly alkalic natural hot spring, which is one of the most unique hot springs in Japan.